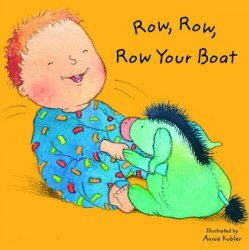 A brilliant dual-language board book for babies, toddlers and their parents to enjoy together, based on the well-known rhyme - Row, Row, Row Your Boat. The full text is included in both English and Russian. The soft pencil outlines with rich, warm colours make for appealing pictures to accompany the dual text. This is a title that will be popular both at home and in the early years classes. The dual-language text in this book is simple but is intended for native Russian speakers.